In some respects, life is little more than a succession of ephemeral moments that fit like bricks into the design that is the present; and the present is little more than the latest iteration in that never-ending stack of interlocked instances. 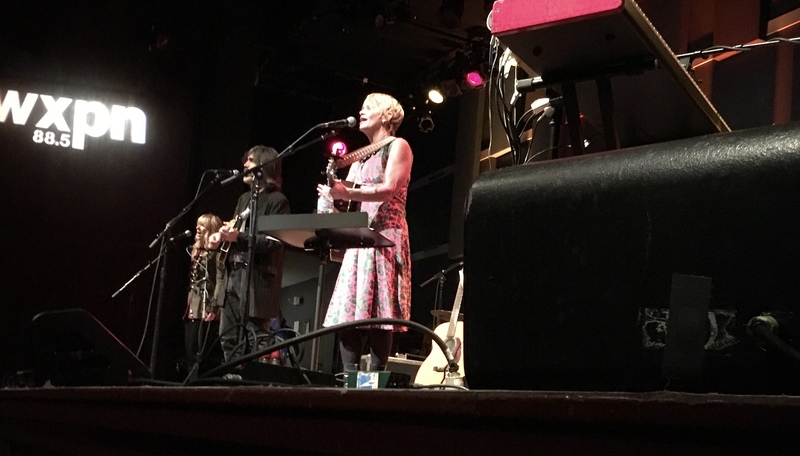 Life, in other words, is akin to a never-ending construction project – a thought that occurred to me on Wednesday, November 1st, when Diane and I saw singer-songwriter Shawn Colvin at the World Cafe Live in West Philly for the umpteenth time. We first saw her in the early ‘90s – at the TLA in 1992, I believe, on the Fat City tour. And though we haven’t seen her every time she’s come to town since, as time and circumstance (and money) always play a part, we’ve seen her more times than I can count. But, honestly, the folksinger I normally looked for on those comps wasn’t Shawn, but Suzanne – Vega, that is. It wasn’t until Shawn’s debut LP, Steady On in late 1989, that I signed on as a fan. The title tune, “Diamond in the Rough,” “Shotgun Down the Avalanche,” “Ricochet in Time” – well, what can be said? They’ve stayed with me. This latest concert was in support of the “20th Anniversary Edition” of her platinum-selling 1996 album A Few Small Repairs album, which is home to the Grammy-winning “Sunny Came Home.” (That October 1st marked its 21st anniversary wasn’t mentioned.) After opening with Tom Petty’s “Wildflowers,” she played the album from start to finish, and shared stories behind several of the songs – “Get Out of This House,” for example, was born from her loathing of the writing room in her then-new house. That’s not my video, I should mention. We were in the front row, far right – a bad angle, as the picture up top and one below shows. Larry Campbell and Teresa Williams, who opened with their own set before backing Shawn, were very good, too. During their set, Larry explained that he and Shawn go way, way back. He got his start playing in a band with Buddy Miller, and she joined in 1980. So they’ve played together, on and off, for decades. During her set, Shawn recalled a pre-fame gig in Albany when they played four 45-minute sets a night. I actually would have preferred, I think, a 25th anniversary celebration of Fat City, or at least the addition of the one-size-fits-all-song that is “Polaroids” (she used to turn it int a medley) to the set. But, personal preferences aside, it was a great show.